Shovel ready commercial building site next to prominent law firm and across from St Tammany Parish Administration Complex. 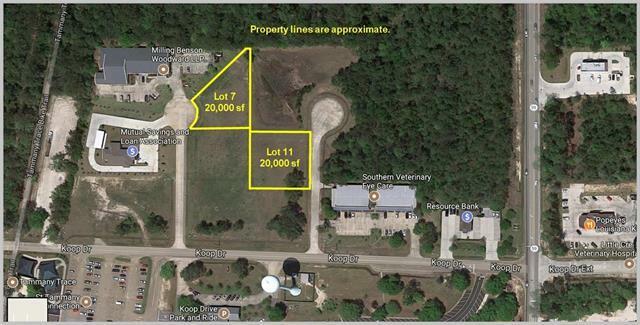 Two lots available, Lot 7 and Lot 11, both 20,000 sf for $150,000. Listing provided courtesy of Clay C Prieto of Meredith Escher Mcmath Real Estate.